The Church of Nigeria is the Anglican church in Nigeria. It is the second-largest province in the Anglican Communion, as measured by baptized membership (but not by attendance), after the Church of England. It gives its current membership as “over 18 million”, out of a total Nigerian population of 140 million.Since 2002 the Church of Nigeria is organised in ecclesiastical provinces, currently in the number of 14. It has rapidly increased the number of its dioceses and bishops from 91 in 2002 to 161, as at January 2013. The administrative headquarters are located in Abuja. Its current primate is Archbishop Nicholas Okoh. Christianity came to Nigeria in the 15th century through Augustinian and Capuchin monks from Portugal. The first mission of the Church of England was, though, only established in 1842 in Badagry by Henry Townsend. In 1864 Samuel Ajayi Crowther, an ethnic Yoruba and former slave, was elected Bishop of the Niger and the first black Bishop of the Anglican Communion. Lagos became a diocese of its own in 1919. Leslie Gordon Vining became Bishop of Lagos in 1940 and in 1951 the first archbishop of the newly inaugurated Province of West Africa. Vining was the last Bishop of Lagos of European descent. On 24 February 1979, the sixteen dioceses of Nigeria were joined in the Church of Nigeria, a newly founded province of the Anglican Communion, with Timothy O. Olufosoye, then Bishop of Ibadan, becoming its first archbishop, primate and metropolitan. Between 1980 and 1988, eight additional dioceses were created. In 1986, he was succeeded by J. Abiodun Adetiloye who became the second primate and metropolitan of Nigeria, a position he would hold until 1999. In 1989 the Diocese of Abuja was created on the area of the new capital of Nigeria with Peter Akinola as first bishop. The 1990s was the decade of evangelization for the Church of Nigeria, starting with the consecration of mission bishops for the mission dioceses of Minna, Kafanchan, Katsina, Sokoto, Makurdi, Yola, Maiduguri, Bauchi, Egbado and Ife. Between 1993 and 1996 the primate founded nine dioceses; Oke-Osun, Sabongidda-Ora, Okigwe North, Okigwe South, Ikale-Ilaje, Kabba, Nnewi, Egbu and Niger Delta North. In December 1996 five more mission dioceses in the north; Kebbi, Dutse, Damaturu, Jalingo und Oturkbo. In 1997 and 1998 four more dioceses were established; Wusasa, Abakaliki, Ughelli and Ibadan North. In 1999 the Church of Nigeria added 13 new dioceses; four in July (Oji River, Ideato, Ibadan South and Offa), eight in November (Lagos West, Ekiti West, Gusau, Gombe, Niger Delta West, Gwagwalada, Lafia and Bida) and Oleh in December. So within 10 years there were 27 new regular dioceses and 15 mission dioceses created. 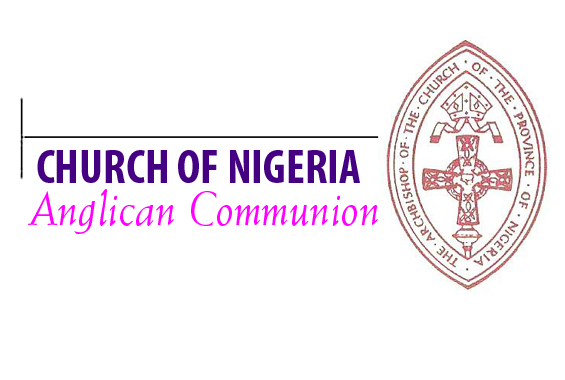 The Archbishop of Canterbury declared the Church of Nigeria to be the fastest growing church in the Anglican Communion. In 1997 the Church of Nigeria was split into three ecclesiastical provinces (see below). The program of action included among others additional translations of the liturgy, establishing a lay fundraising team, establishing a legal support to ensure freedom of religion and worship, establishing theological colleges and universities, internet access for all dioceses, training evangelists, priests and their wives, social welfare programs, hospitals, secondary schools, literacy courses and setting up cottage industries. In 2005, as one of the goals of the Vision of the Church of Nigeria, the church-owned Ajayi Crowther University in Oyo was granted license to operate as a private university in Nigeria on 7 January 2005.